Hi guys! Did you have a good weekend? I did :) I had a fun birthday party on Saturday and I spent Sunday relaxing around the house and doing my nails, perfect! 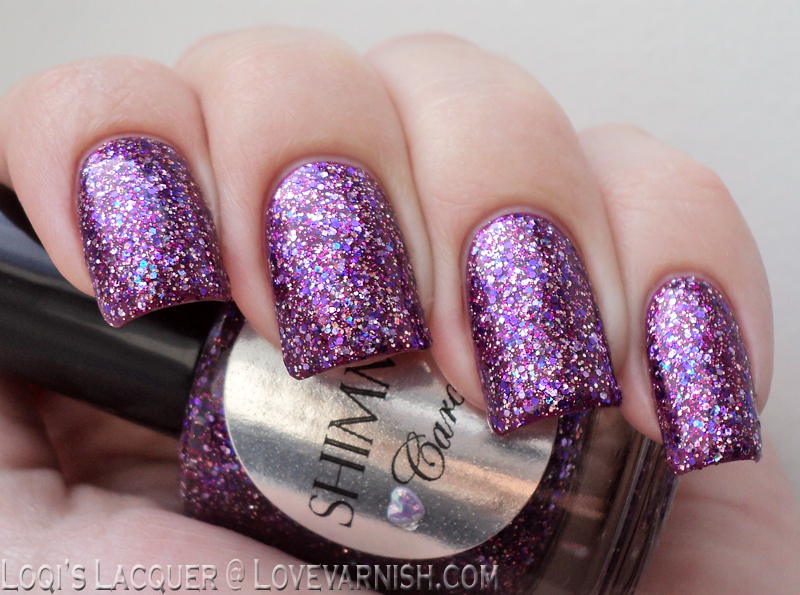 This week I've got 2 wonderful purple glitters for you: Gerry and Caroline! 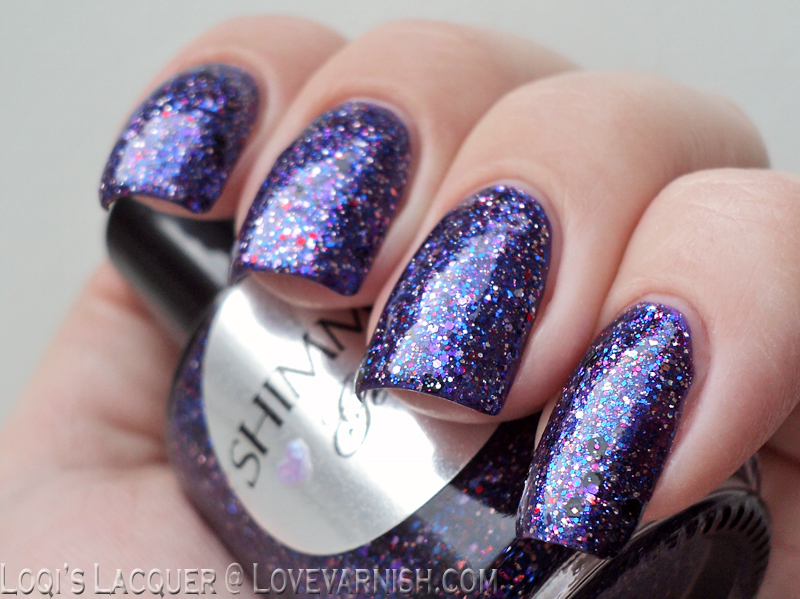 Gerry is one of my all-time favourite Shimmer polishes! It's a beautiful and deep blue leaning purple. 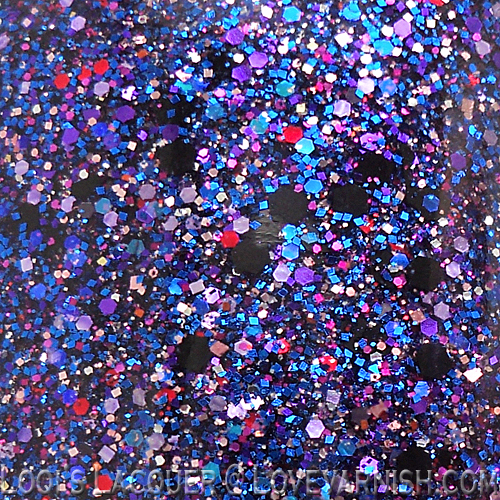 It's made up of different sizes of blue, purple and pink glitter and has some larger black (I adore black glitter!) and medium red particles mixed in. It has a clear base but is very dense. For this manicure I layered 2 coats of Gerry over a base of OPI Tomorrow never dies and finished it with a generous layer of topcoat. Caroline is a very pretty lighter purple. 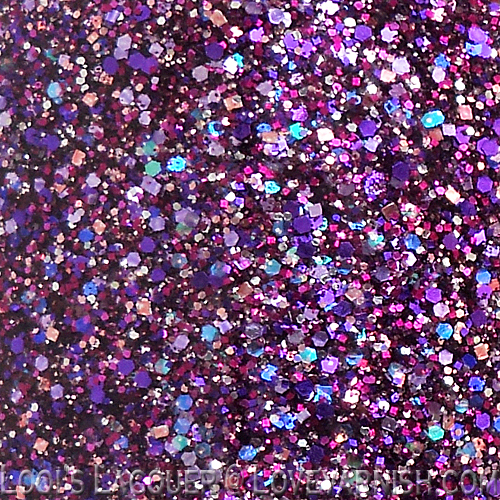 It's made up of small and medium glitter in different shades of purple, pink and a bit of blue in a clear base. Caroline is also very dense, but I layered it for the best result. I used Essence Lilac is my style as a base and topped it with 2 coats of Caroline and topcoat. 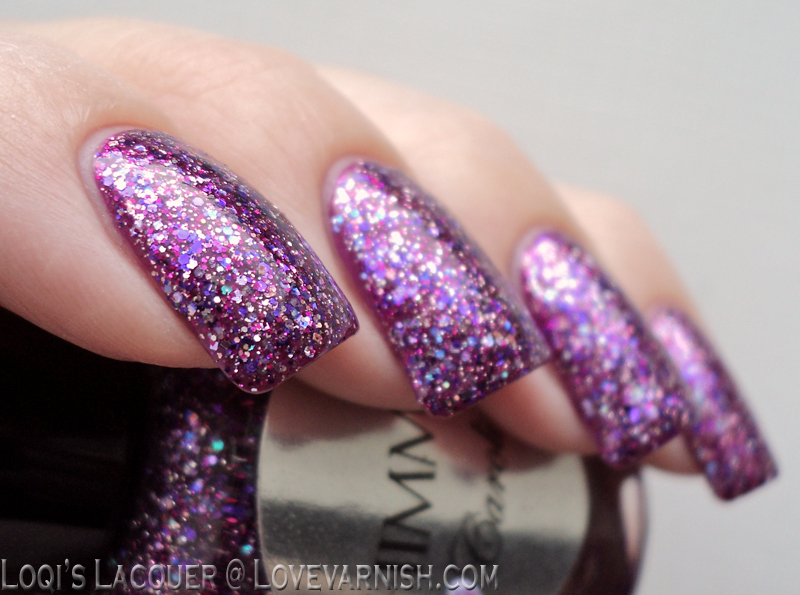 I just can't get over how gorgeous these 2 polishes are! The colours are so vibrant and complex, I could stare at them all day! I bet they would look awesome together in 1 manicure as well, I have to try that sometime! What do you guys think? 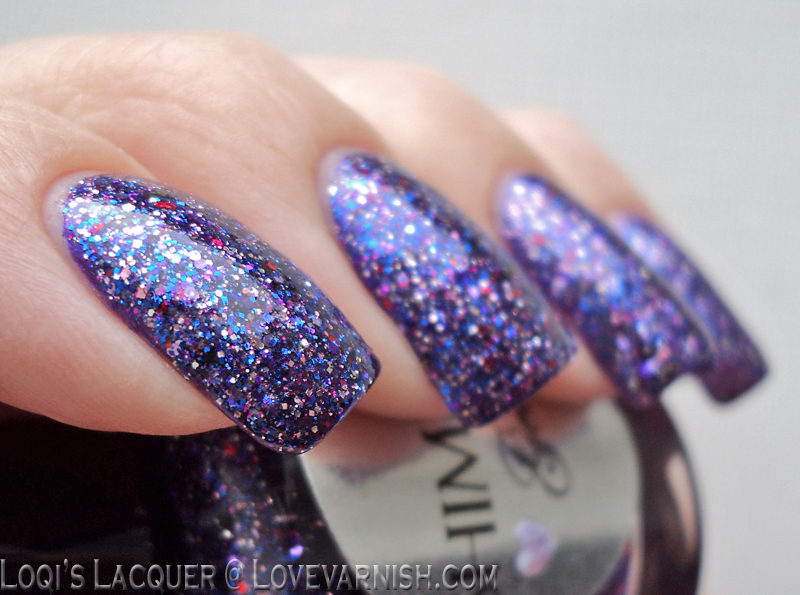 Do these 2 purples tickle your fancy? Or would you prefer other colours? 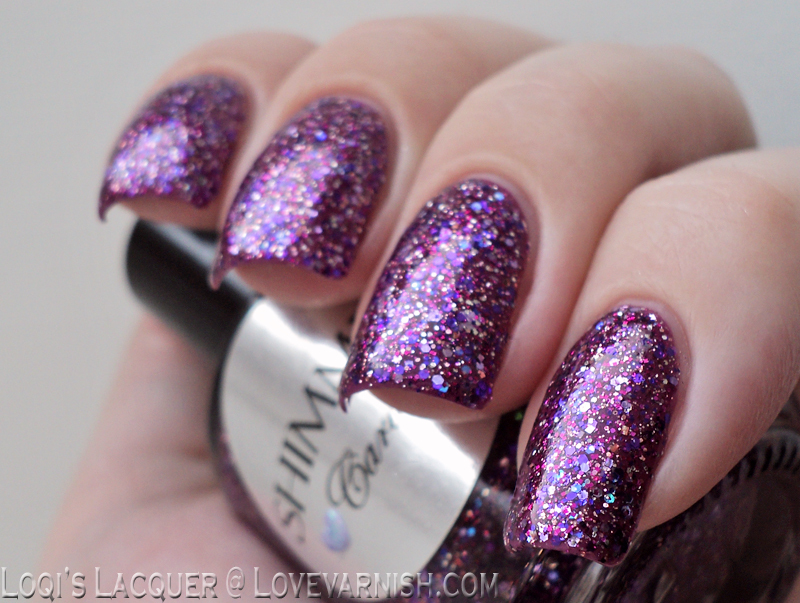 Don't forget to check back the next couple of weeks there are 2 more sets of Shimmer polishes to go! First, I like the bunnies! Second, your swatches are drool-worthy! I can't even tell you how much I LOVE Hare Polish! I have the light pink one and I adore it! Your swatches = fabulous! Ooh I want Zoltar Speaks! I've never tried this brand, I'm going to check them out. Pretty huh? I'll admit I almost always use undies but I think that especially Zoltar Speaks won't need it per se. It just gives me more breathing room regarding application and wrapping my tips. Glad you do Brooke! Have you ever tried HARE? :D I know I loooooved your swatches as well! Thanks Shipra! I think that hot pink would suit you well :). Aren't they adorable? How could you not love the polish when there is a bunny on the bottle?! Haha, I know girl! We share that love! You should! I think there are some e-tailers that still have a few of these in stock.